Morehead State never trailed in the game and established itself as the dominate squad from the tip. Graduate forward McKenzie Calvert scored the first seven points of the game and helped her squad to a 45-31 lead at the half. Calvert scored 16 of her 18 points in the opening half. Senior Darianne Seward added 16 points while senior Miranda Crockett dropped in 14 points. Crockett's night marked her 22nd game in a row reaching double-figures - a streak that began on February 15, 2018 at Tennessee State. Senior forward Tierra McGowan cleaned the glass for season-high 13 rebounds. The Eagles pulled down a season-best 48 total rebounds and edged out the Lady Tigers on the boards 48-47. Tennessee State's scoring was paced by senior Tia Wooten with 17 points. The Preseason All-OVC forward recorded a double-double by coupling a game-high 14 rebounds with her scoring total. The 23-point win, which is largest ever for the Eagles at Tennessee State, improved MSU to 11-6 overall and even its conference mark at 2-2. The Lady Tigers dropped to 1-15 overall and 1-2 in the OVC. Morehead State will next take on Southeast Missouri at home on Thursday. The game will be the first of four-consecutive at Johnson Arena for the Eagles. Tipoff is scheduled for 5:05 p.m. ET. 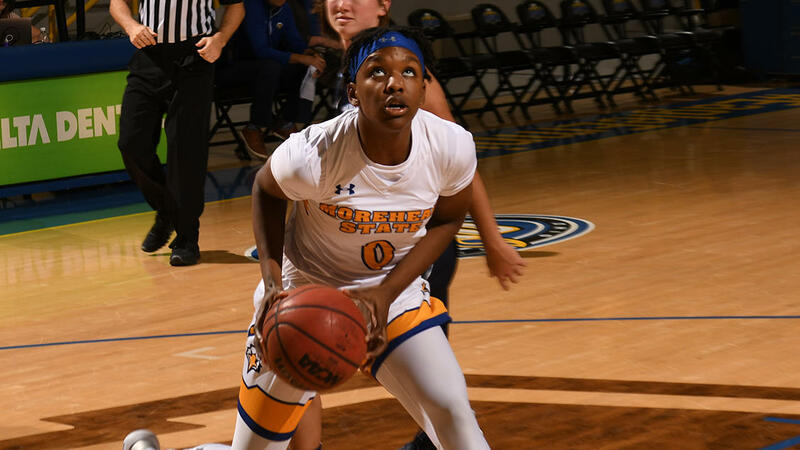 Despite shooting over 50 percent from the field, the Morehead State women's basketball team dropped an 81-80 decision to Ohio Valley Conference opponent Austin Peay Saturday afternoon at the Dunn Center. The Eagles netted 28-of-54 (.519) shots but were unable to hold onto a seven-point lead as they went 0-for-4 from the field over the final 3:49 of play.